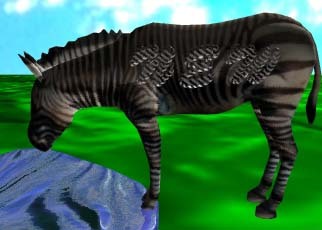 It's a zebra. Butifully rendered, and very atmospheric, this picture say in esscense, "New things are wild and free." Although rather large for a new button, I belive it can be effectivly shrunk down for webpage use to the size of, say.. a small antelope.